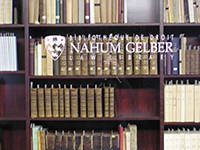 As of recently, Index to Foreign Legal Periodicals is available through Hein Online platform. The interface and search capabilities have improved, and the index can be browsed by subject and publication title. At the moment, we cannot make a direct link to this database in our subject guide, so to access Index to Foreign Legal Periodicals, click on the Hein Online link in the Law subject guide http://www.mcgill.ca/library/library-findinfo/subjects/law/ under the heading Quick Links.